Company founder and principal adviser David Boyce has been awarded Chartered Financial Planner status by the Chartered Insurance Institute (CII). As a Chartered body of more than a century's standing, the CII grants Chartered titles to individuals and organisations which meet strict qualifying criteria. This highly prestigious designation signifies David is very serious in his pursuit of the highest standards, his adherence to ethical good practice as well as confirming his commitment at the highest level to professional qualifications. 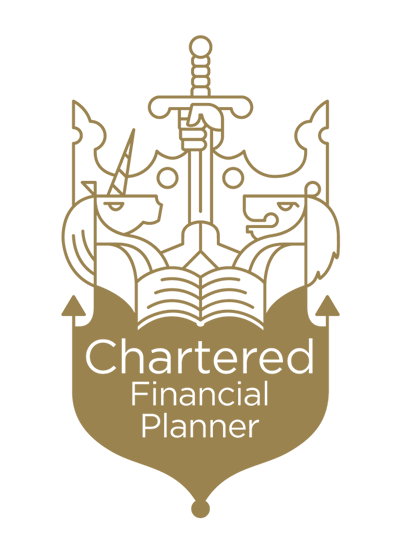 Being Chartered is a significant accomplishment as figures from the CII suggest that only 12% of the profession have achieved Chartered Financial Planner status. David has all the relevant qualifications, knowledge and experience to deal with your area of need. A good example of this is Defined Benefit Pension Transfer advice where only a limited number of Financial Advisers have the relevant CII qualifications. Gaining Chartered status and reaching the pinnacle of the financial planning profession means you can be reassured that David will put your interests above those of others, he will consider your personal circumstances and devise a plan to help you meet your needs, fulfil your aspirations and help provide you with a secure financial future.